Austin, TX – (August 9, 2018) The Silver and Black are currently seeking high-energy entertainers to hype up home court and beyond. We’re talking top-notch talent with a love for the team, a flair for the dramatic, and the personality to back it up. If you’re as skilled as you are social, we want you to show us what you’ve got. Along with an upbeat demeanor, judges will be looking for dynamic, well-rounded performers with both character and charisma. Simply put, people who’d shine as ambassadors of our team. Showcase your fit with this, and don’t worry—they’ll take notice. There is no fee to try out for the Hype Team. Applicants are asked to wear comfortable, athletic clothing and shoes. Applicants will be grouped with 4 other applicants and evaluated during three sessions: on-court activations, interviews and a showcase of talent/skills. The activation session will consist of various team scenarios such as promotional timeouts, fan interactions and crowd prompts. Applicants will participate in a group interview. Lastly, applicants will have the opportunity to showcase any special talents/skills that make them a unique fit for this team, such as cheer, dancing, tumbling, stunting, free style, tricking, flipping, breaking, etc. Each applicant will have a maximum of 2 minutes during this session. Teamwork, creativity, energy, Spurs fandom, personality, and community involvement are just some of the elements the judges are evaluating. Will a routine be taught? These auditions will not consist of a choreographed routine. Applicants are invited to perform a previously prepared routine or set of skills. All applicants will be notified by phone and/or email in a week. The judges’ decisions are final. What are my time commitments if I make the team? 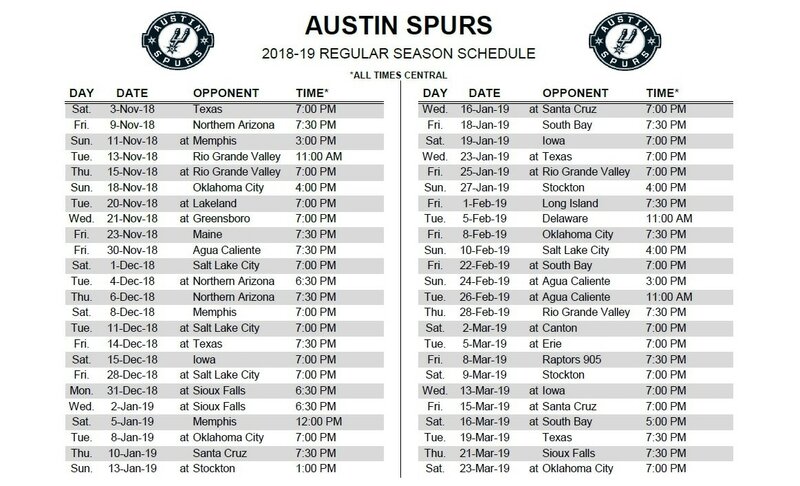 Team members will be responsible for working the majority of the Austin Spurs home games and community events as ambassadors of the Austin Spurs (includes nights, weekends and holidays). If you think you have what it takes then register here! Please be sure to complete the audition waiver.